1 Bdrm Grnd flr Flat. Hall. Lounge. Dining kitch. Bdrm. Shower rm (CT band - A). 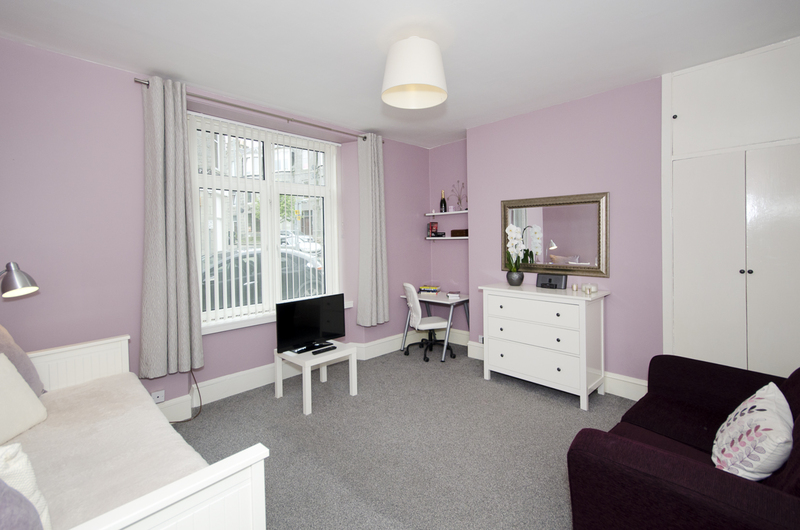 Fixed price £100,000 Entry by arr. Viewing contact solicitors. Below Home Report Valuation (EPC band - D). 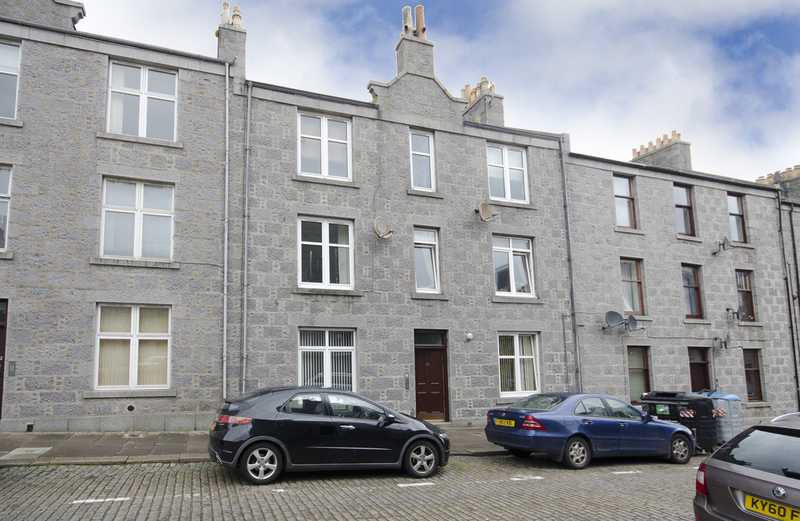 Situated within a quiet street yet only minutes walk of Union Street and it’s associated amenities, we have pleasure in offering for sale this immaculate ONE BEDROOM GROUND FLOOR FLAT forming part of a traditional granite property with the communal areas protected by a security entry system. 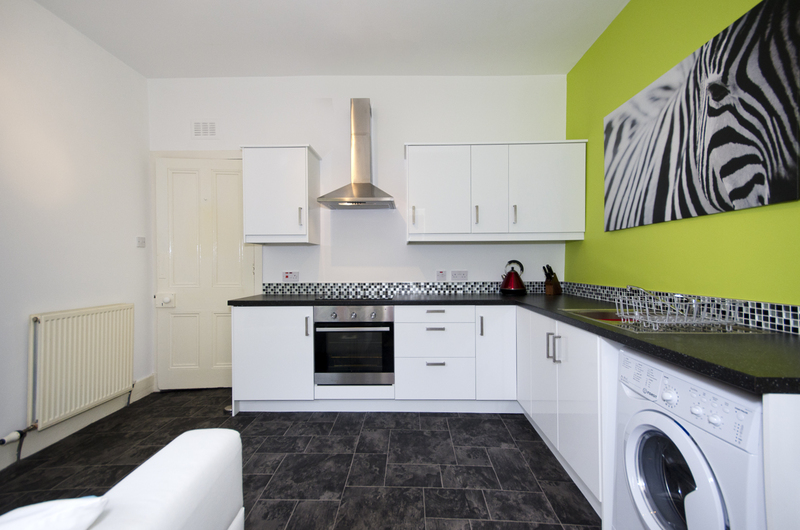 Offered below valuation, the subjects would make an ideal first time purchase or Buy-to-let investment having been upgraded and decorated throughout by the current proprietor to an exceptionally high standard. Boasting many desirable features including the beautifully appointed kitchen which is fitted with a wide range of contemporary white gloss wall and base units and provides space for dining, along with stylish lounge which is exceptionally bright and airy with a large window overlooking Ashvale Place. Outside there is a communal walled garden to the rear, laid out with low maintenance in mind, mainly in stone chips. Benefitting from gas central heating and double glazing, all fitted floor coverings, curtains, blinds and light fitments are to be included in the sale price. 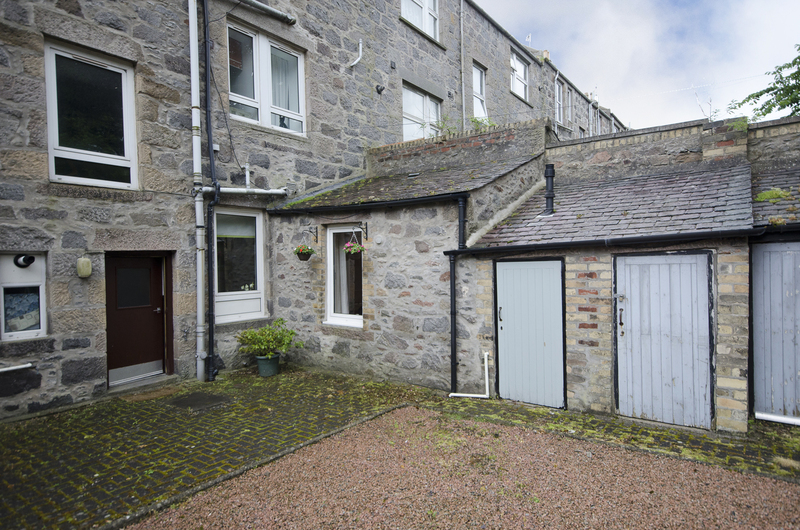 Viewing of this superior property is an absolute must to appreciate fully the many fine qualities on offer, along with the quiet, yet convenient location. 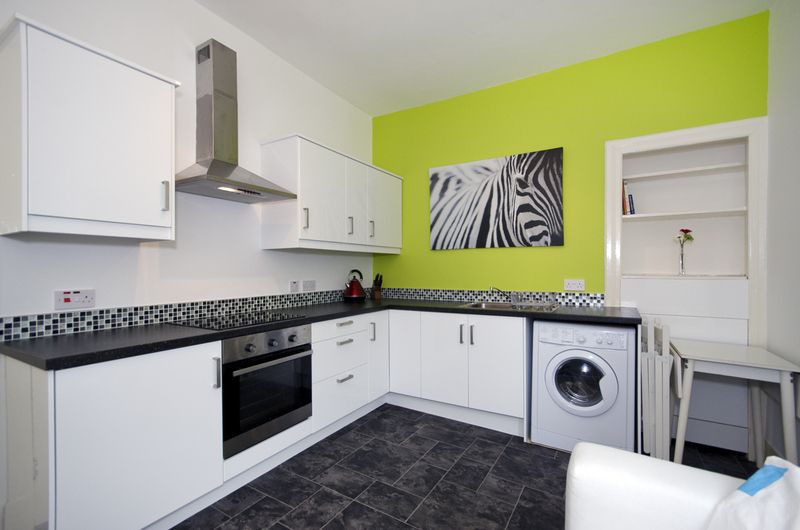 LOCALITY: Ashvale Place enjoys a popular location, well served by local shops and public transport facilities. The west end of Union Street is within easy walking distance with a wide range of pubs, clubs, restaurants and leisure facilities. The location is also convenient for the RGU Garthdee Campus and TalismanBuilding in Holburn Street along with various related offices in area. HALL: Entered via a solid wooden exterior door, the hall provides access to most accommodation. Security entry handset. Coat hooks and pegs. High level electric meter. LOUNGE: 14' x 12'2" approx. This most stylish lounge has previously been used as a second bedroom and benefits from a built-in cupboard with hanging space and storage. Exceptionally bright and airy with a large window overlooking Ashvale Place drawing in ample natural light. T.V point. DOUBLE BEDROOM: 11'6" x 7'1" approx. 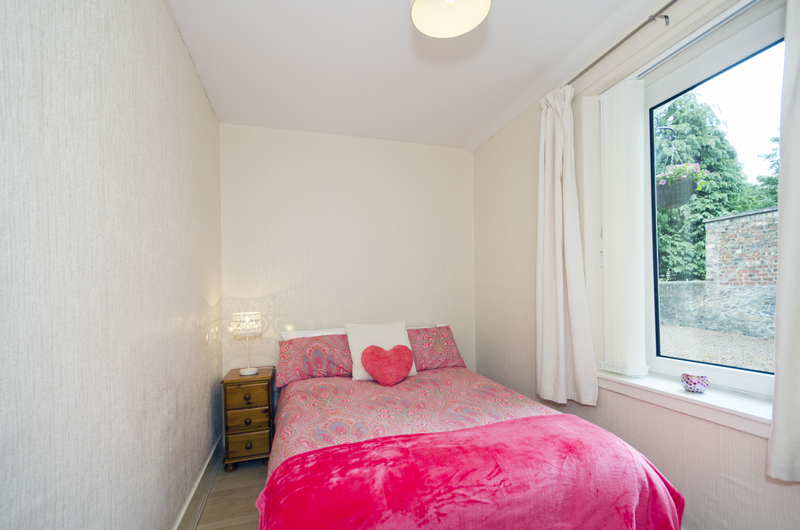 Overlooking the communal rear garden, the bedroom is decorated in soft neutral tones and benefits from wood effect laminate flooring. SHOWER ROOM: The lovely shower room is fitted with a white three piece suite comprising shower cubicle with mains shower, wc and wash hand basin (installed in 2013). Aqua panelling around the shower and wash hand basin areas. All fitments are to remain. Extractor fan. OUTSIDE: There is a communal low maintenance walled garden to the rear, laid out in stone chips with a drying area. Large exclusive outhouse which would easily accommodate bikes and additional storage. DIRECTIONS: At the west end of Union Street turn left onto Holburn Street then first right onto Ashvale Place. Number 60 is some distance ahead on the right. GENERAL: The subjects are offered below valuation.